Imagine for a second that I’m bringing you to one of my favorite fast-casual restaurants for the first time. We walk through the door, place our orders, but once we get our food you realize that mine was ordered “off the menu” and will be way more delicious than yours. How do you feel? 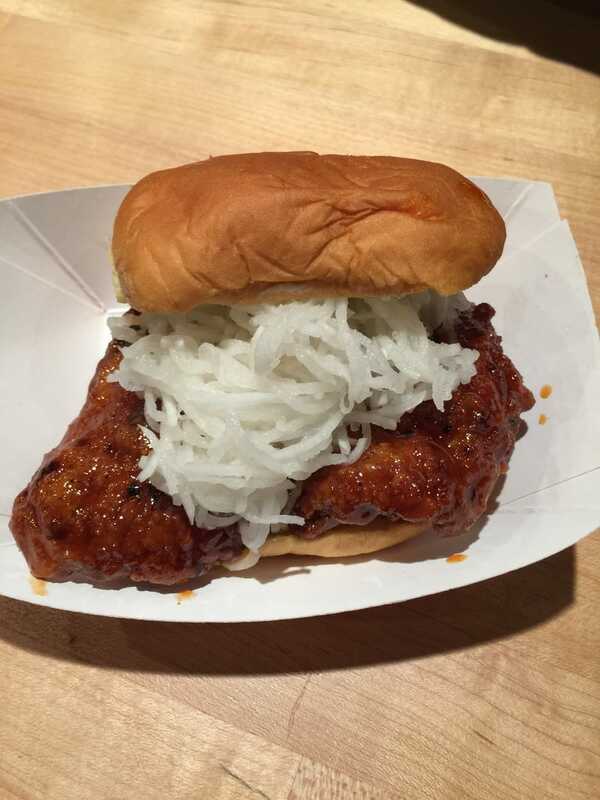 That’s the sense I get every time I walk into Fuku, the David Chang spicy fried chicken sandwich haven I so frequently visit. It’s inexpensive, delicious, and convenient because there’s only a few options on the menu—yet every so often, Chang will post a photo of a new concoction to social media and call it an “off-menu” item immediately available for purchase. Why, then, not put it on the menu? I could understand an argument against it would consider the costs of re-printing menus, but Fuku doesn’t even have a menu. It’s like a gym-class scoreboard. Just lift up your arm and add a letter or number to the board. You could, in theory, change the menu multiple times a day without trouble! So if it’s an exclusivity thing, I don’t buy it, because a first-time customer should have the same opportunity to taste something delicious as those who had come before. If it’s an interest thing, I don’t buy it either, because anything Chang does will garner interest, so there’s no shortage of demand. Is a secret menu still a secret if you know about it?